Uttar Pradesh and Uttaranchal together cover a vast area of 294,000 sq km which stretches from the Himalayas to the Indo-Gangetic Plains. It has the population of 175 million and the main language of these states is Hindi. A wide variety of landscapes and historic monuments are offered by these two states. Among the place of tourist attraction in UP plains are the famous Taj Mahal, many Islamic monuments along with the Holy city of Varanasi and the Budhist Stupas of Sarnath. After every 12 years mammoth Kumbh Mela takes place at Allahabad as well as at Haridwar. Till November 2000 the Uttaranchal and Uttar Pradesh was not separate but in November 2000 the hill area of Uttar Pradesh became the separate state of Uttaranchal. There are a lot of places of tourist attraction at the hill state of Uttaranchal and those places includes beautiful trekking trails, the picturesque hill stations of Mussoorie and Nainital along with yoga rafting tours and yoga ashrams around Rishikesh. There is also Corbett National Park which is very famous for its tigers. 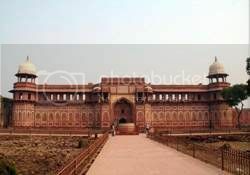 In this article I am giving you the detail description of the tourist attraction of Agra which was the seat of the imperial Mughal Court during the 16th and 17th centuries. After that the capital was shifted to Delhi.City of Agra is located on the banks of Yamuna and along the Grand Trunk Road. The city was very flourished under the patronage of emperor Akbar, Jahangir and Shah jahan. 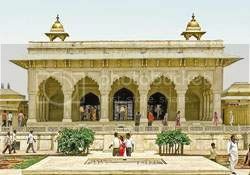 There are many luxurious forts, palaces and gardens and mausoleums at Agra built by many artisans from Persia and Central Asia and also from other parts of India. Among its many tourist attractions Taj Mahal, the Agra Fort and Akbar’s abandoned capital of Fatehpur sikri has been declared by UNESCO as World Heritage Sites. 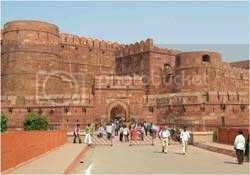 Agra fort was built by Emperor Akbar on the west bank of Yamuna between 1565 and 1573. It is made of Red Sandstone. It has an enormous complex of courtly buildings which ranges in style from the early eclecticism of Akbar the sublime elegance of Shah Jahan. Surrounding the fort there is a deep moat which once filled with water from Yamuna. At its northern side there is barracks which is an addition from the British in 19th century. There is an impressive Amar Singh Gate in the south which leads into the fort. Towards its right is the Jahangiri Mahal which is the only major palace in the fort which dates back to Akbar’s reign. This was the zenana or main harem with its arrangements of halls, courtyards and galleries. There is a large marble pool in the front of Jehangiri Mahal about which it is said that during Nur Jahan’s time it was used to fill with rose petals for the queen to take her bath in the scented water. There is an elegant marble hall known as Khas Mahal which has vividly painted ceiling which is the characteristic of Shah Jahan’s style of architecture. There are two golden pavilions which have curved roofs and it is said to be associated with princess Jahanara and Roshanara. Then there is an Anguri Bagh facing these pavilions which means Grape garden. Towards the northeast is the Sheesh mahal and Royal baths. There is also a double storied octagonal tower known as Massuman Burj from where the clear view of Taj can be seen. It is said that when Aurangazeb captured and imprisoned his father then Shah Jahan spend his last days in this burj. It is also known as “Friday Mosque” and was sponsored by Jahanara begum. 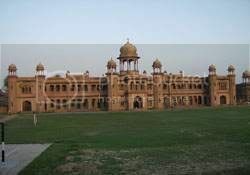 It is a magnificently proportioned building in the heart of this historic town of Agra. This mosque was built in 1648. Its sandstone and marble domes with their distinctive zigzag cheveron patters dominate this section of the town. There is a tank which has Shahi Chirag (royal stove) for heating water within the courtyard and there is a separate chamber for ladies. This is Agra’s most prestigious institution. It has an unusual architectural design. It design has often been described as an astounding mixture of antiquarian, the scholarly and symbolic. There are many groups of red sandstone constructed buildings which includes a hall and library which are arranged around a quadrangle. 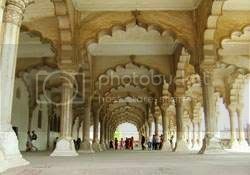 It was designed on the basis of Fatehpur Sikri style by Sir Samuel Swinton Jacob. It was inaugurated in 1914 and was started by the Church Missionary society. It was established in 17th century and it is the oldest graveyard in North India. It was established by an Armenian merchant, Khoja Mortenpus. Even today there are many Islamic-style gravestones which have inscriptions in Armenian. Among those that even survive today are those of cannon expert, Shah Nazar Khan and that of Khoja Mortenepus himself. Among all the tombs the largest tomb is that of John Hessing who was a British Commander in the army of Scidias who were the ruler of Gwalior. 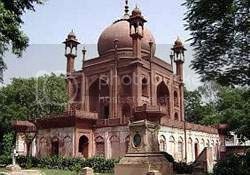 His tomb which was built in 18o3 after his death is very much made on the model of Taj mahal. I am Susan Hannan from Exams Key; it gives 100% EX0-101 Test Questions exams. Let’s take benefit of 199-01 Test Questions Exams material efficiently and get guaranteed success. Check out free demo of all certifications Exam.